Brought to you by Blacknight, it’s the Technology.ie podcast episode 19, presented by Conn Ó Muíneacháin and Michele Neylon. 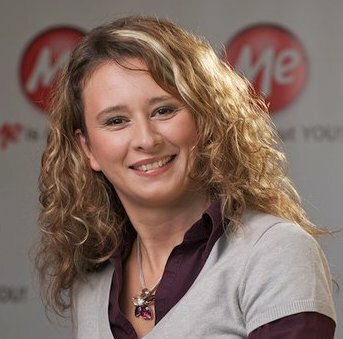 Our guest this week is Nataša Đukanović, Sales Director for the .me Top Level Domain. Montegro was granted the .me tld in 2006 and Nataša’s company began registering domains in 2008. Now they have 600,000 domains registered, approximately one per head of population. The domain is popular in Montenegro itself – used by 84% of Montenegroan websites – but these account for less than 1% of the overall takeup of .me domains. The domain’s real value is it’s uniquely personal meaning in the English language! So, Nataša explains, ‘personal’ is the key to marketing .me domains, for blogs, for personal websites and personal brands. In addition there is an opportunity for “call to action” type domains such as date.me or call.me, which are sold at a premium. Either way – it sounds like fun, promoting a brand which invites such quirky and creative uses. For example check out (or check in?) oust.me. Also discussed: Facebook introduces timeline for pages (but don’t rush into it! ); Mobile World Congress in Barcelona; Digital Camera sales collapse; Coder Dojo goes international! Technology.ie is brought to you by Blacknight, Ireland’s largest provider of domains and hosting. Win an XBox! Like the show? Subscribe with RSS or iTunes. What Should We Ask Natasa?